These vintage stacking plywood chairs are timeless pieces of classic and vintage industrial furniture. These superb, original stacking chairs have gunmetal frames and are fitted with curved wooden seats and back supports. These chairs are extremely sturdy, and with their stacking feature, they would be extremely useful in any contemporary kitchen or dining room. 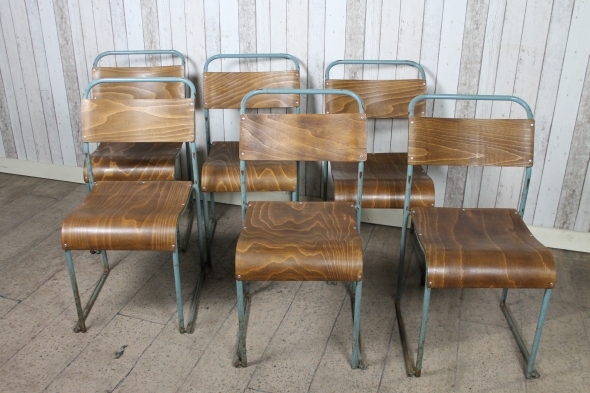 All of these vintage wooden stacking chairs are in good condition, with no breaks to the steelwork; but, as you can appreciate, having been used on a daily basis, there may be marks to the paintwork. 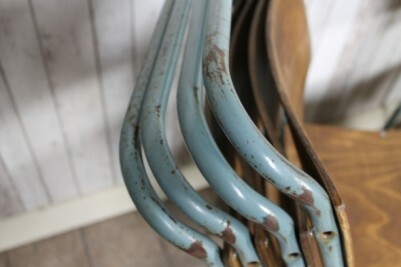 There will also be signs of wear and tear to the seats, which we feel adds to their character. This listing is for one chair only. 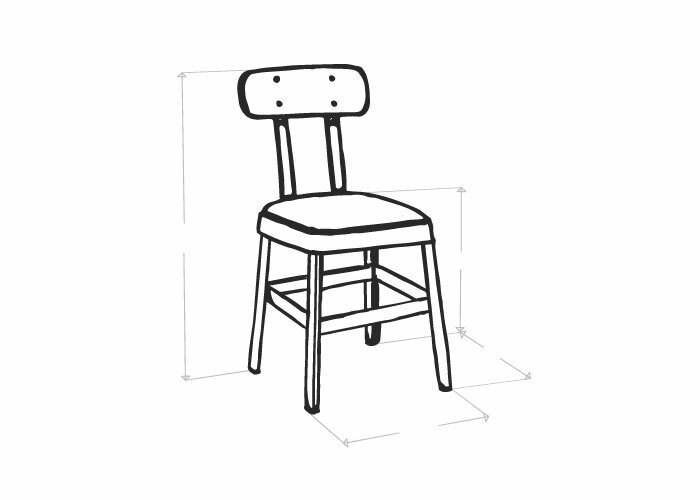 We have 100s of stacking chairs in stock in a variety of different styles; please browse our website to view the full range.